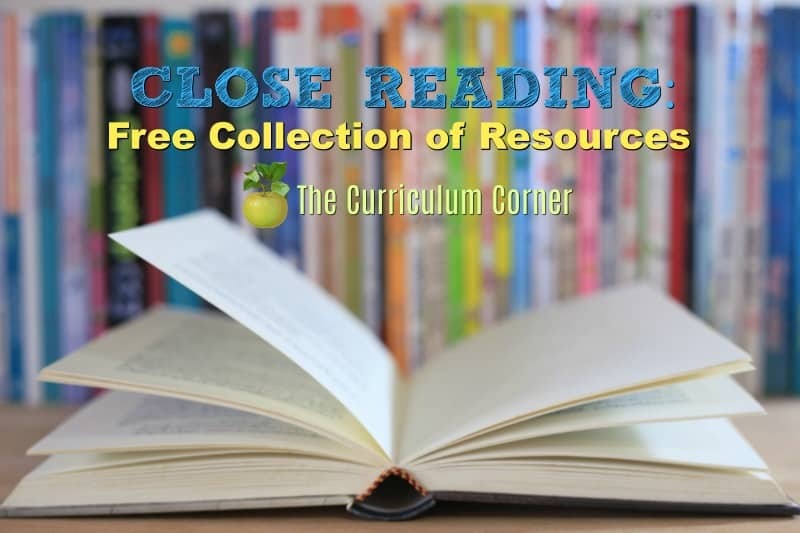 This collection of Close Reading resources is free from The Curriculum Corner. 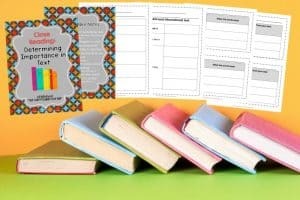 You will find that it includes mini lessons, graphic organizers & much more! 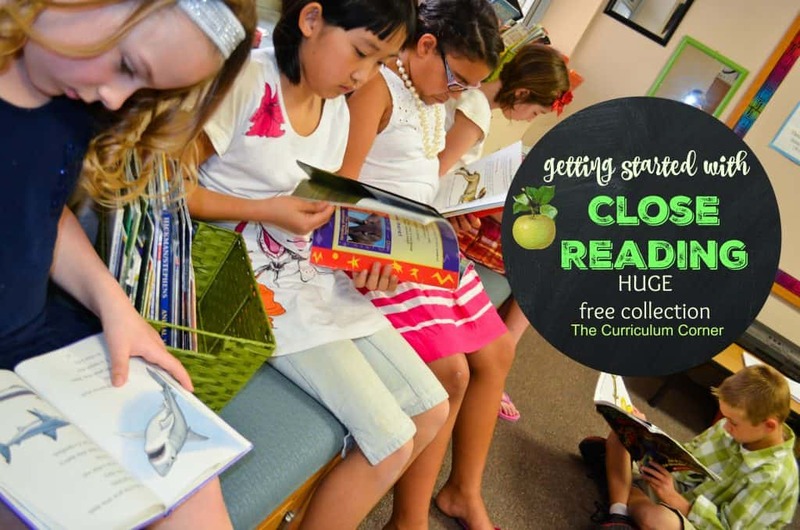 We are excited to share a round-up of our popular Close Reading resources. 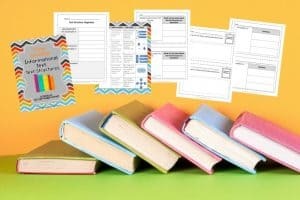 We have created these resources to include what you need to get started with Close Reading in the classroom. Each link contains a post explaining the contents and downloads for the PDFs we have created – all resources are free. If you feel like we are missing an important focus within our close reading collection, please share in the comment section below. 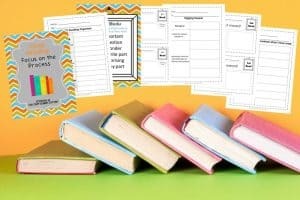 We would love to make this your favorite spot to find resources for close reading. As always, these resources are designed to be free for teachers. They may not be sold or duplicated and republished on other web sites. Please feel free to share this post with your colleagues. Schools and bloggers are welcome to link directly to this post, please do not link directly to the PDF as this violates our sharing policy. If you have any questions, just send us a message! 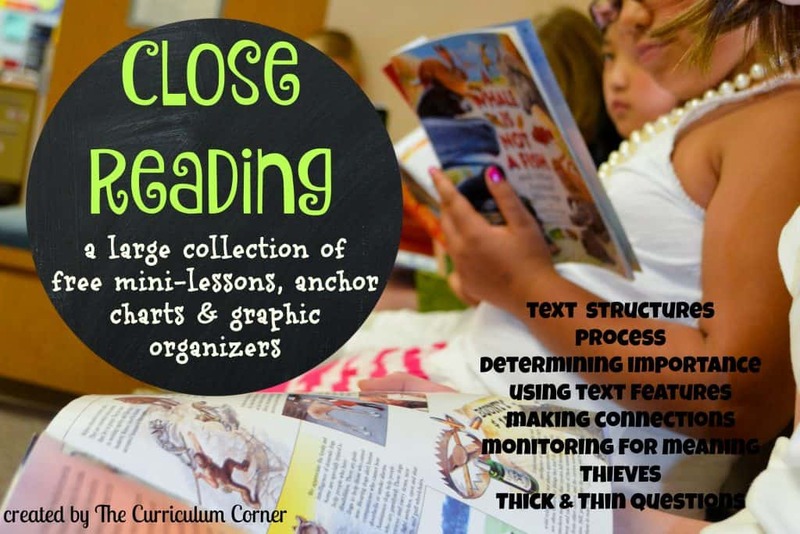 Close reading is when you teach children to dig into what they are reading. You are looking for more than having them simply search for specific answers. You are teaching children how text works so that they can develop a deeper understanding while they read. Some steps of close reading, such as making connections, are often taught beginning at younger ages. As students grow in their reading, you can add other aspects. 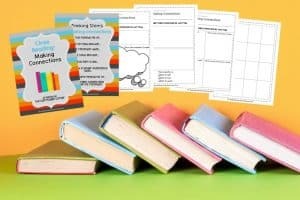 The set we have created is designed to help get you started when close reading is new to you. To access each set of materials, click on the images below. 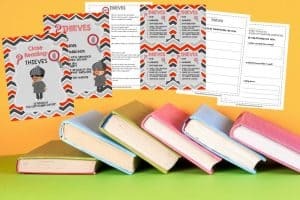 Each image will take you to a separate post of free resources to help you get started with Close Reading! Thanks for all the amazing resources. Looks great but I can’t figure out how to access it. Hi Lisa! So sorry for the confusion. You will click on the individual images/pictures towards the bottom to take you to each individual Close Reading post. We have changed the wording to make this more clear. Thank you!